Canadian Comfort Heating and Cooling Systems delivers London, ON consumers state of the art Furnace and Air Condition products and services. 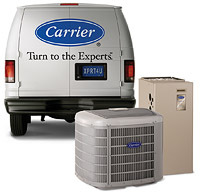 Our staff specializes in Furnace and Air Conditioning Repair, Air Conditioning Installation, and Furnace Installation. Canadian Comfort Heating and Cooling Systems has developed into London, ON’s HVAC Product Distributor Industry Leader. Our local customer service team looks forward to helping you. For additional information call us at: 519-686-1587.